I swatched these nail polishes by The Polish Bar in January 2014 and I don't know why I haven't blogged them. The first polish is Blossom ! It's a mix of purple and white glitter with a hint of lavender hex glitter. For these photos, I applied 2 coats of Blossom over Cult Nails Feel Me Up. The second polish of the day is Dreams. It's a mix of white, grey, pink and purple glitter. For these photos, I applied 1 coat of Dreams over Zoya Neeka. This polish is currently in my blogsale. 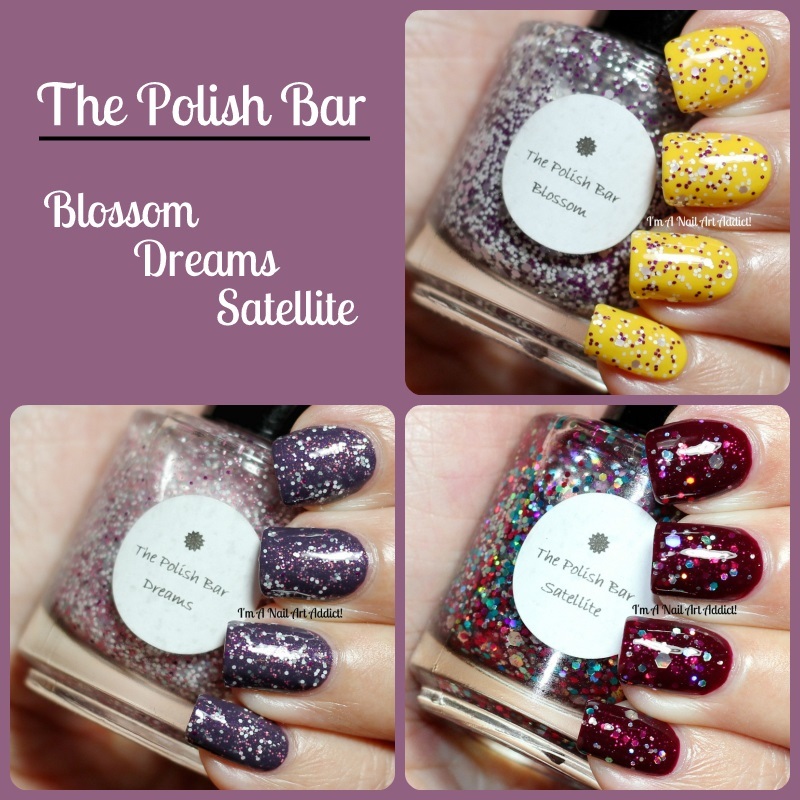 The third polish is Satellite ! It's a mix of multicolored glitter in various size. For these photos, I applied 1 coat of Satellite over Kiko 243 Plum Red. I bought these polishes in September 2012, and I think they are now discontinued. The Polish Bar social networking: Etsy shop - Facebook.